Zombies and clowns and scares, oh my! The fun takes a terrifying turn at Valleyfair on select fall nights as the park transforms into ValleySCARE, the upper Midwest’s largest Halloween attraction. With haunted mazes, scare zones and monsters prowling the park, there is something to satisfy everyone’s devilish desire. With all of these terrifying creatures roaming the park, do you ever wonder what it takes to become a ValleySCARE monster? Around 200 associates transform into creepy creatures each night at ValleySCARE’s Halloween Haunt. In order to get all of these monsters ready for their close up, 10-13 professional make-up artists work from 2:00 PM until 8:30 PM. Each artist gets 20 minutes per monster to create a signature look. A new concept this year is that each makeup artist will be assigned a specific maze or scare zone each night. This will create an overall continuity and cohesiveness in all of the mazes. Each makeup artist gets a certain degree of freedom with each of the monsters they create. They are given boundaries and guidelines, but a lot of the creativity you see roaming the streets comes from the imagination of the artists. Search the internet and watch your favorite scary movies to find some makeup ideas that you can highlight or use as a starting point for your own monster creation. Using a base layer of makeup will take your Halloween look to a professional level. Use a light color to highlight key bones and features of the face. Highlights are easy to cover up if you go off course. If you feel comfortable with your highlight pattern, take it to the next level by shading the highlights with a slightly darker color. Using multiple colors will add great depth to your makeup foundation. Use this layer to accent wrinkles and creases that are natural in the face. Fake blood will take your monster to the next level. Focus on key areas that are important to the character you’ve created. For example, if you have a vampire you will want to focus on blood around the mouth to show that they have recently fed on a victim. Owen was recently awarded the Valleyfair Cornerstone Award. 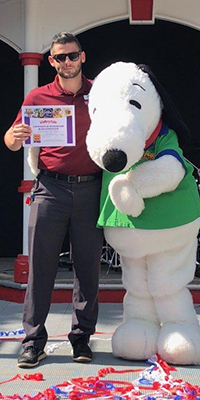 He has always connected deeply with Valleyfair’s cornerstone values of service, courtesy, cleanliness, safety, and integrity, which made winning this award even more special. If you’re looking for ways to capture that perfect Instagram shot, look no further. We’ve got some tips and tricks to help. In fact, you won’t even need to lug your DSLR to the park with you. 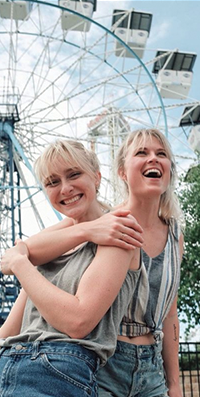 All photos shown are of real people – with real Instagrams. Wondering what to do with your dad this Father’s Day? 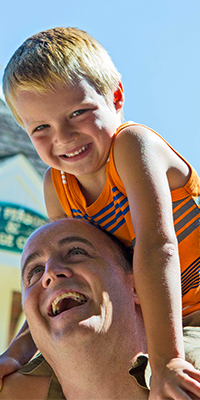 Valleyfair has you covered to help celebrate every type of dad out there: from the dad who loves the adrenaline rush of the rides to the foodie who loves indulging in each mouthwatering bite of delicious cuisine. One of the best parts about a visit to Valleyfair? The food. 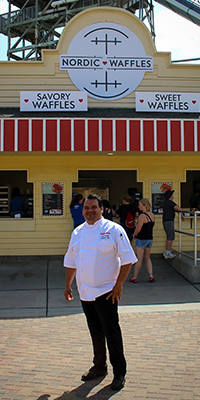 But none of your favorite Valleyfair indulgences would be possible without the one-and-only Chef Luis. As someone who is usually behind the scenes, most guests are not lucky enough to see Chef Luis in action, but they can thank him for their delicious, refreshing treats they enjoy in the park. Any parent knows how difficult it can be to keep a 3-5 year old entertained and happy all day long. 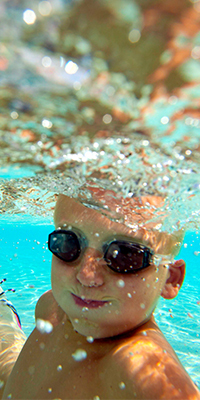 Luckily, we know exactly how you can have fun in the sun with your little one! 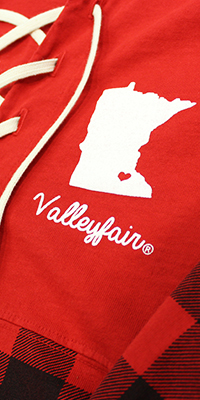 Valleyfair in-park shops got a Minnesota make-over this season! This Memorial Day, Valleyfair is making it our mission to honor those who have served our country. 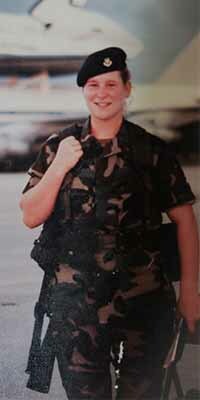 Many of our associates have spent years of their lives devoting themselves to not only our country but also our park. Do you ever wonder, ‘How does Soak City prepare for a safe operating season?’ Well, you’ve come to the right place. All aboard the Soak City Sailboat, where we have an answer to all your cra ‘sea’ questions. 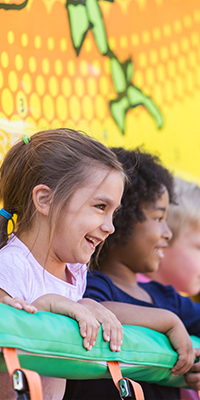 Whether you are looking for savory or sweet, experience Minnesota's top mobile culinary experiences every Friday through June 15th at Valleyfair. In a battle between mashed potatoes, gyros, ice cream, BBQ, and beer, the only loser is your waistline. These delicious food trucks will be at Valleyfair throughout the entire day so you don't have to pick just one meal! 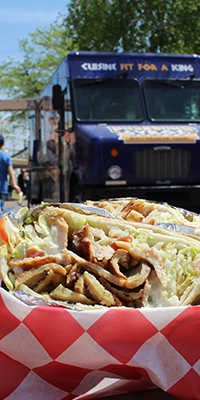 Enjoy delectable desserts or savory a hearty meal, either way, there is something for everyone at Food Truck Fridays! 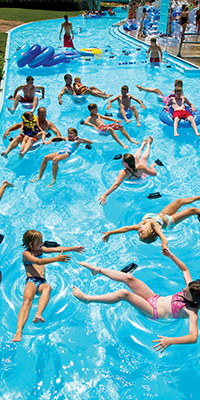 If you’re planning a trip to Valleyfair, you will definitely want to include the coolest place in the Upper Midwest to slide, splash, chill and dine: Soak City. Opening May 26, 2018, you won’t want to miss this opportunity to make it the Best Day Ever.